Too often Gospel music can be too presumptuous. With a tiny hook that last for only a few seconds, many songwriters think they can sloppily extend that into a six or seven minute song padding it with fluff. This has given the genre a bad reputation of producing more ab libs than carefully thought out melodic structures. Javen is a rare exception. His songs do not exhibit any hints of laziness. You won't find half-written songs augmented with lots of "spontaneous worship." Rather, these 12 newly recorded cuts (two are interludes and one of them is a Spanish language counterpart) show strong melodic structures with variegated styles (ranging from pop to soul to Gospel to dance to ballads). 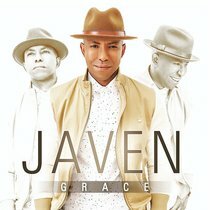 "Grace" is Javen's  seventh solo effort as well as his first album in five years. The album gets onto a glorious start with the title cut "Grace." Featuring lots of soul-tinging keyboard arpeggios, clappy drums before Javen is joined by a magnificent choir, grace has never sounded more amazing. John Newton's hymn "Amazing Grace" receives a campy nu-folk Mumford and Sons update in "Amazing." With finger snapping drum beats and a driving melody, "He paid It All" sounds like a classic hymn to be. Continuing on the theme of grace is "Eternal Grace," a carefully crafted choir piece that narrates the account of Jesus' death and resurrection with a 70s-soulful touch.